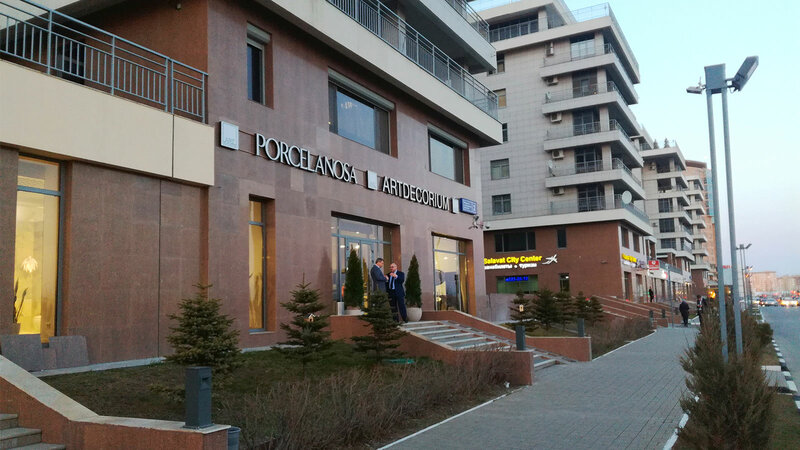 Today it is possible to obtain this atmosphere thanks to innovative materials with great technical features, while retaining a natural, rejuvenating aesthetic. 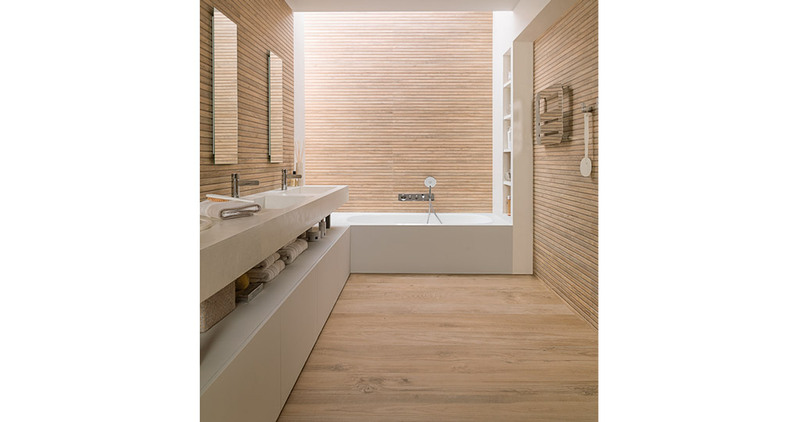 This is the case with the original ceramic parquet from Porcelanosa – Par-Ker. It is a solution for flooring and coverings which combines the warm, distinguished appearance of wood with the resistance and versatility of ceramic. If anything differentiates Par-Ker, it is the resemblance of its finishes to natural wood, with veining, colours and knots. High-tech with endless aesthetic options, as well as high resistance and inalterability. 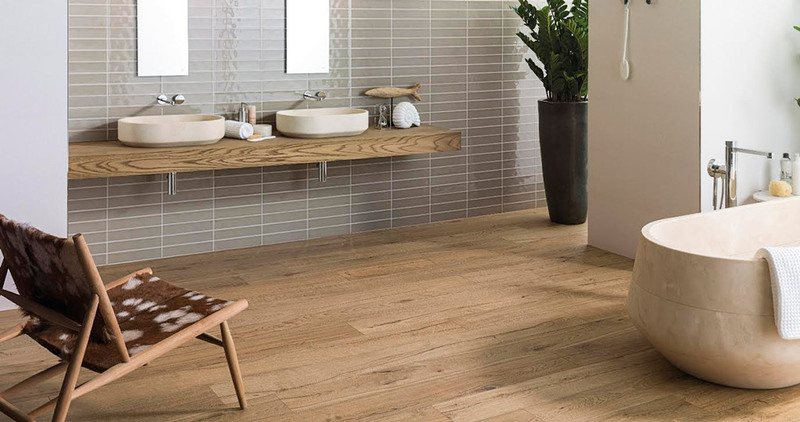 Par-Ker ceramic parquet remains the same as on the first day, including in demanding spaces such as bathrooms. 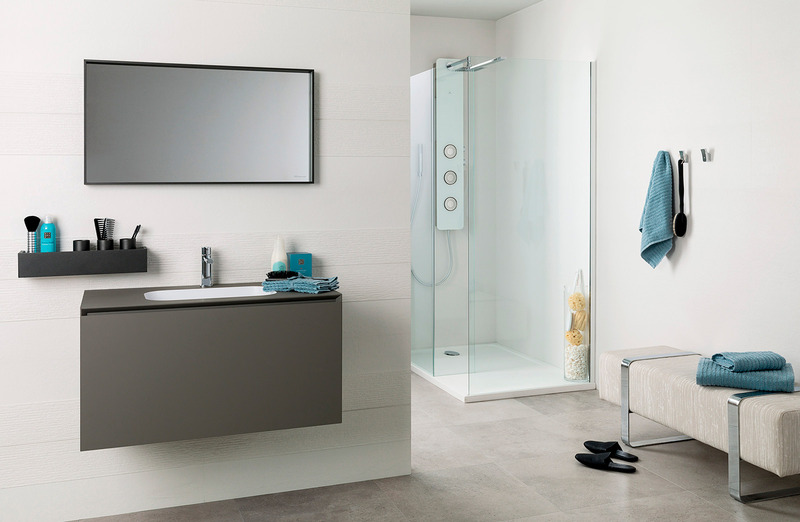 Its ceramic technology is perfect for wet spaces, and areas in constant contact with water. 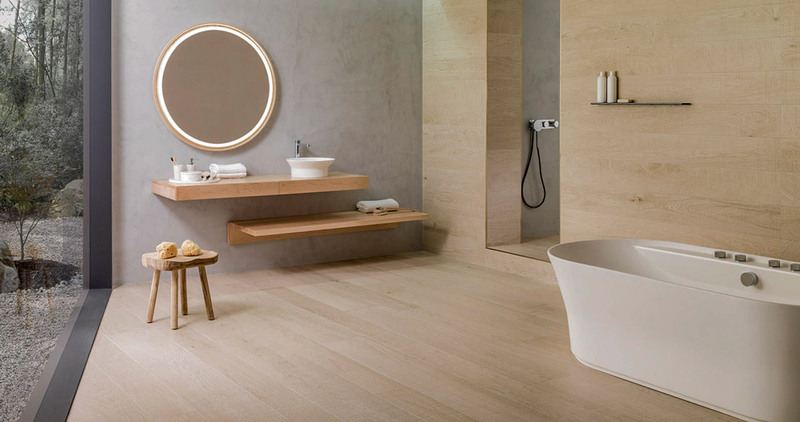 Par-Ker guarantees safety in the bathroom thanks to its anti-slip functions applied with nanotechnology, preventing slips which moisture and water may cause on other kinds of flooring and coverings. Unaltered aesthetics over time: the material has a long lifespan and is resistant to wear and continuous use. 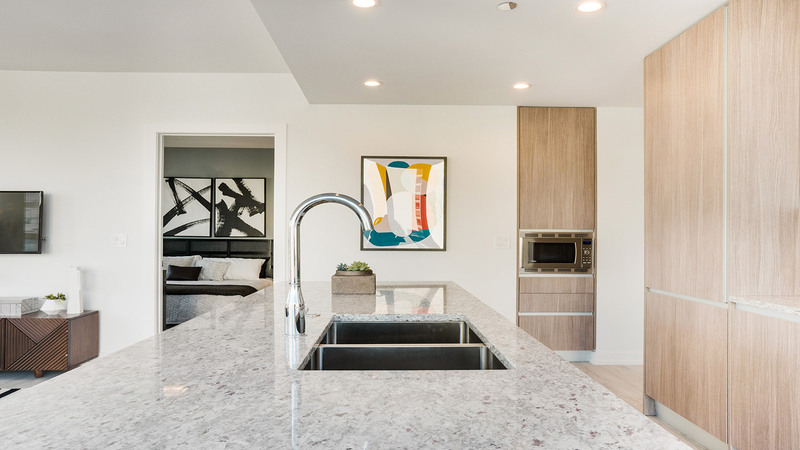 Possibility of installation over radiant heating systems. It does not require maintenance due to its low porosity and high resistance to chemical agents. Par-Ker, along with construction systems firm Butech, has developed Shower Deck. It is a prefabricated, non-sloping shower tray solution created with Par-Ker ceramic parquet. 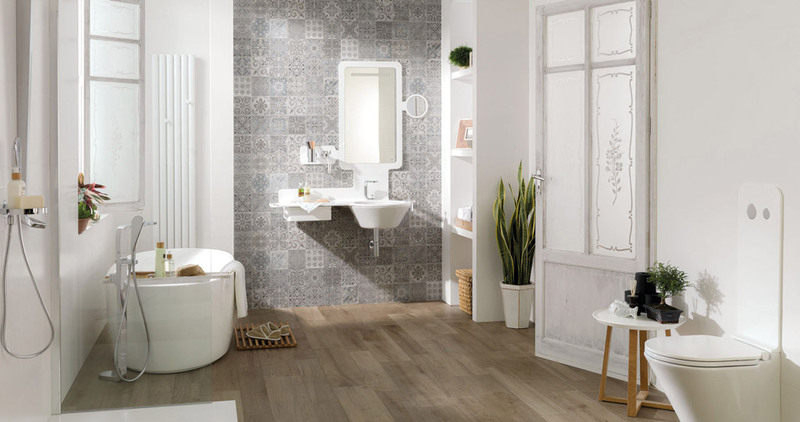 This product is perfect for bathrooms with a simple, minimalist design, being perfectly integrated into the bathroom with an extra-flat shower tray and a finish inspired by natural wood.